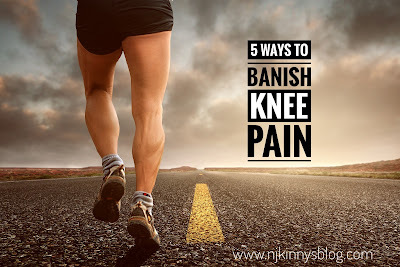 Why live with knee pain when there are ways to get rid of it forever? We explain how. Body and joint pain are often considered an old person’s ailments. But the truth can surprise you – practically any person can be a victim of joint pain, even young children. You could be born with weak bones, or have a calcium deficiency, or even suffer an injury that causes the pain. Though your knee screams in protest every time you walk or sit, it must get its share of daily activity. A sedentary lifestyle contributes to knee pain, so be sure to give the painful knee moderate activity every day. Stroll for a few metres every day, and gently move the leg back and forth to stimulate blood circulation. If the pain is severe, apply an ice pack, and leave the knee locked in a straight line. 2) Apply a pain relief cream. You may be under weeks of treatment for your dodgy knee, but managing the pain is a daily matter. You can do this in a variety of ways, but the simplest step in knee pain relief is to buy a good pain relief cream. Apply it daily on the painful knee before going to bed, and cover the area with a light bandage. The best pain relief creams provide effective short term knee pain relief. 3) Eat a diet rich in good fats. Some kinds of knee pains can be attributed to friction in the joint, mostly caused by a lack of lubrication. This can happen due to aging, or a genetic issue, or excess body weight that causes the knee cartilage to erode. You can ask a qualified nutritionist to chart out a healthy diet rich in antioxidants, good fats and lubricating agents (coconut oil is a good ingredient to try in daily cooking) so that the joints receive good lubrication and the pain is lessened. 4) Massage the painful joint with special oils. You can supplement the effects of your diet by massaging the knee with a massage oil. The oil is designed to penetrate deep into the joint and provide both lubrication and knee pain relief. But be gentle when you massage the knee – hard or vigorous rubbing may increase the pain and even change the joint’s alignment. 5) Get a check-up done every six months. Knowing the progress (or not) of the knee joint can help your doctor draw up the best treatment plan for you. Often, the treatment involves keeping one’s weight in check, doing light exercise, physical therapy and taking knee pain relief medication for a few weeks or even months. Those who cannot walk briskly or cycle, may try cardio exercises like aqua therapy and daily swimming to keep their weight in check.